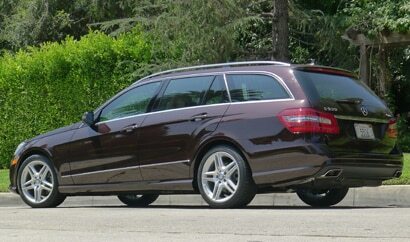 In short: A spacious and stable 7-passenger station wagon. With a spacious cabin that comfortably seats seven, the 2011 Mercedes-Benz E350 Wagon is an ideal family vehicle for those looking for both luxury and versatility. Loaded with advanced Mercedes-exclusive safety features like the Attention Assist driver drowsiness monitor and Pre-Safe predictive protection system, the E350 Wagon is designed to keep busy parents alert and focused on the road — even after a long day of running errands. Of course, drivers looking to have a little fun after dropping the kids off at daycare need not worry — the luxury station wagon's 4MATIC all-wheel drive and 7-speed driver-adaptive transmission are sure to keep more adventurous types entertained.